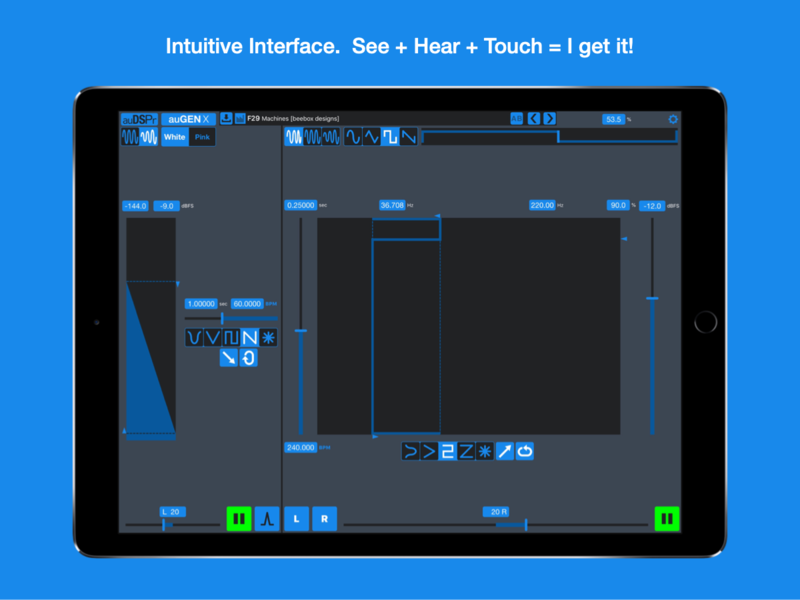 Indie audio app developer auDSPr has created auGEN X – a Precision Audio Generator for iPad. Use auGEN X to help set up, test, calibrate, and optimize your audio system. 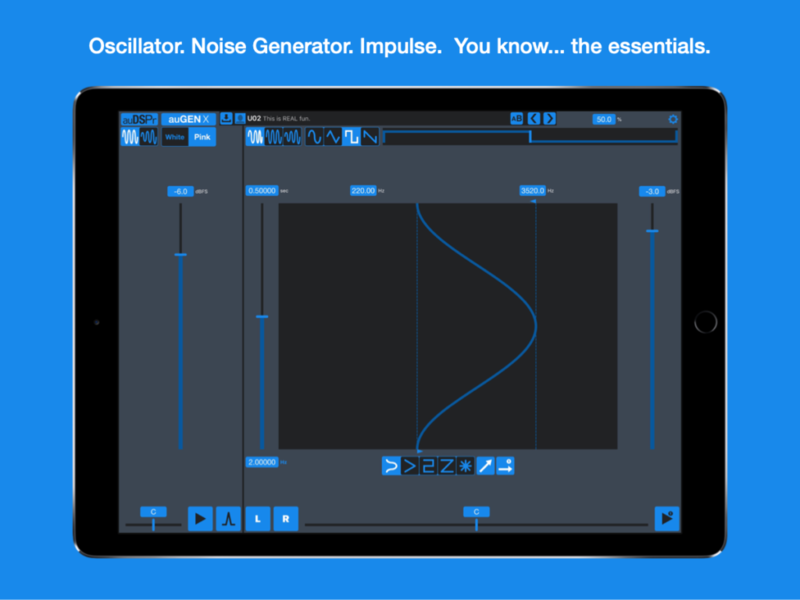 auGEN X has a full-featured audio oscillator, a high quality noise generator, and an impulse generator. The simple yet powerful user interface is designed for fast, precise, intuitive control over your signals. 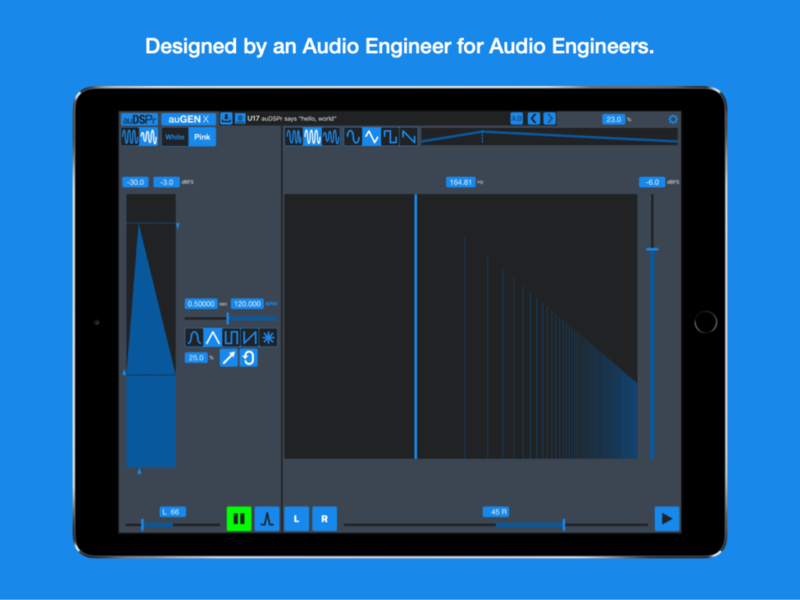 auGEN X works both as a Stand-Alone App and as an AUv3 Audio Unit Extension. Support all the way back to iOS 9 means auGEN X works on every iPad model (except the original first generation iPad). Breathe new life into your old iPad 2 by using auGEN X to make it a dedicated, precision audio test machine. Please note that auDSPr is not in any way affiliated with Profusion.